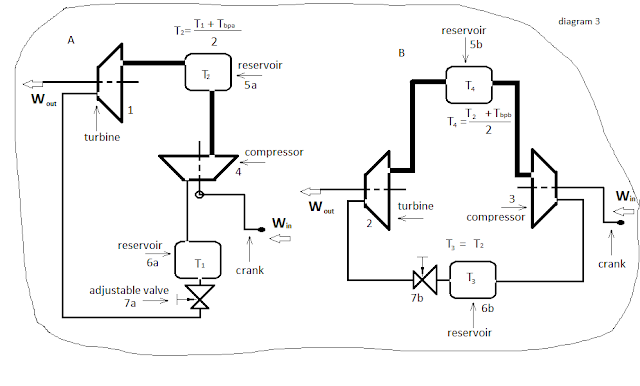 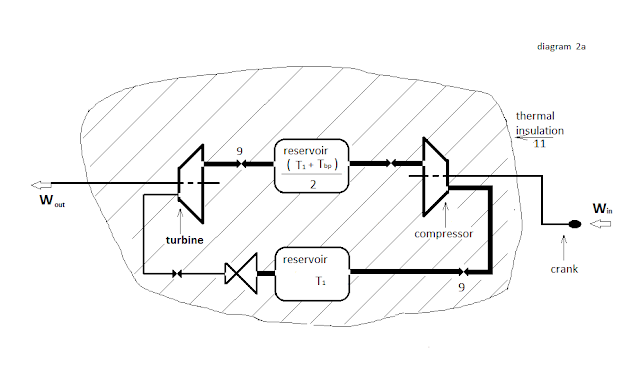 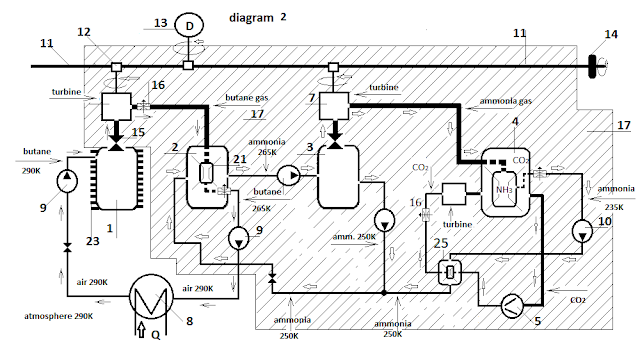 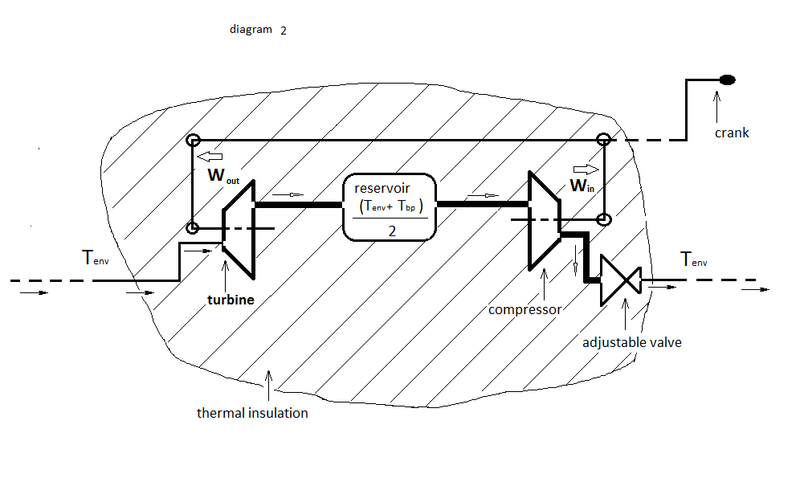 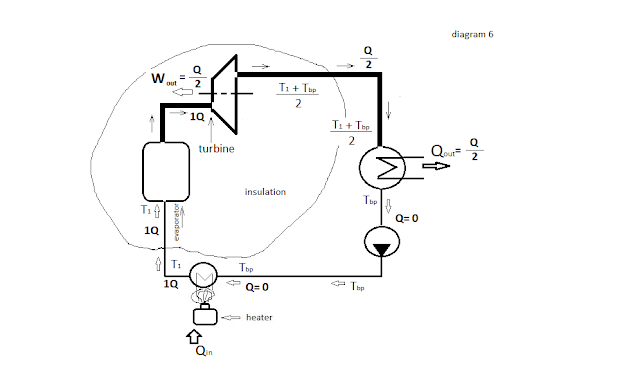 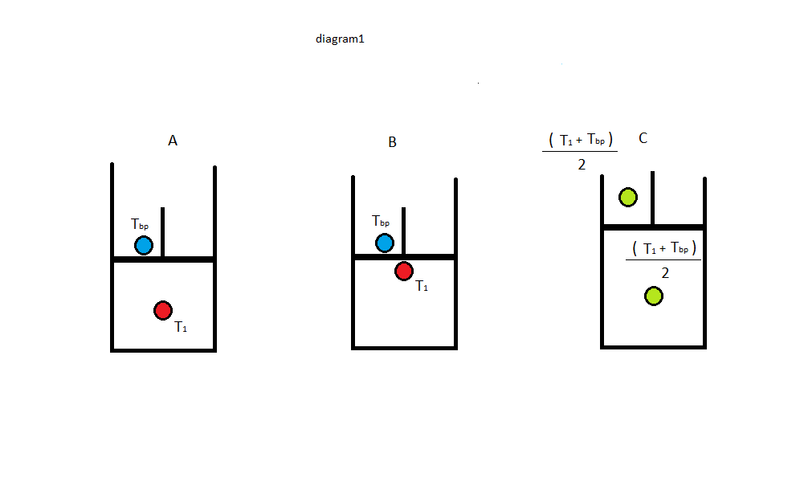 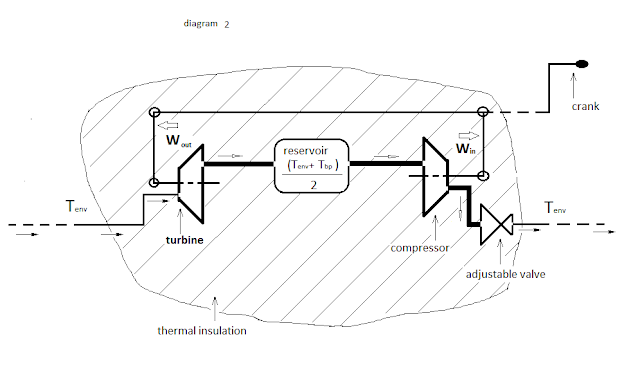 Reflecting on the method for converting heat into mechanical energy that the cold part I create by doing work I saw an untapped so far from me the opportunity for effective work - It would be better to replace expansion valve on "refrigerator"with a turbine (or piston / cylinder; generally speaking converter heat into mechanical energy) diagram (1a)( 1). The mechanical energy is our goal, and the cold part we need in the process of internal cooling in the absence of such a natural. Let the operating cycle of the n-th working substance creating cold part by using cooler. 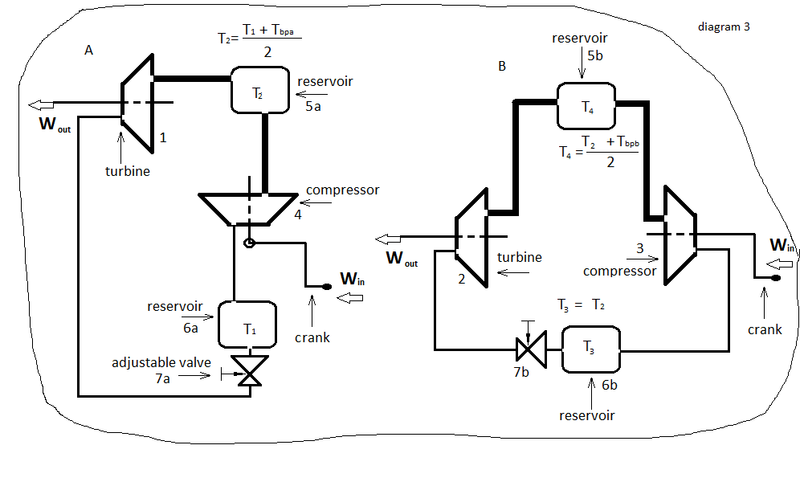 Replace the expansion valve with a turbine. We now have a further beneficial force that is a result of the conversion of heat into mechanical energy. 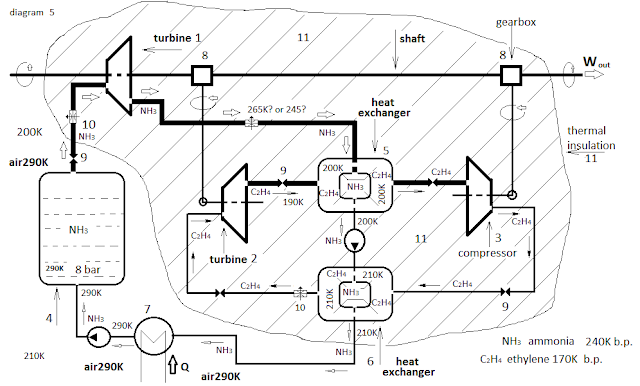 Replacing expansion valve with turbine converts refrigerant in working substance. Now in the cold part (the last n-th cycle of the working substance with the lowest boiling point) have two working substances with a common cold part - the cold part of the system for redistributing heat. 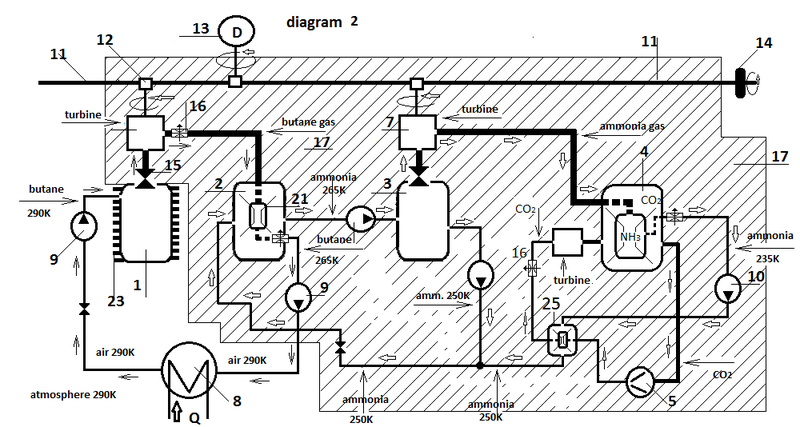 Working cycle on refrigerant becomes neutral - no change in temperatures, considering that the same amount of heat is removed and transferred from refrigerant gas at working substance. Therefore the work of the compressor and turbine are the same - as the mechanical power is converted into heat in the course of operation of the compressor on refrigerant, so the same heat turbine is turned into mechanical power. Cycle on refrigerant agent is a neutral shade. 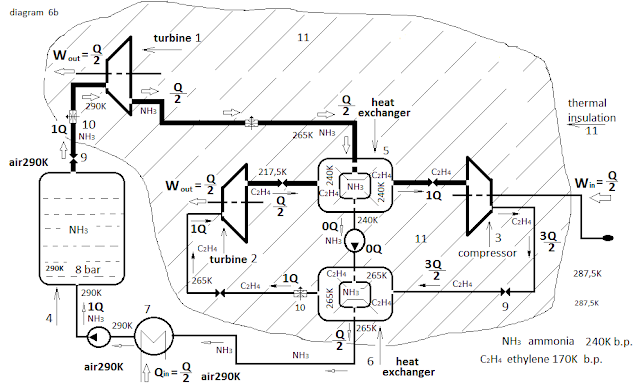 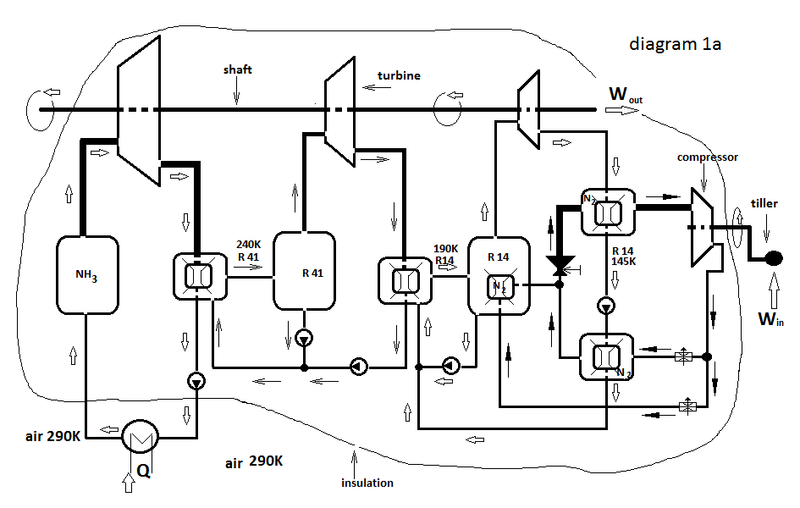 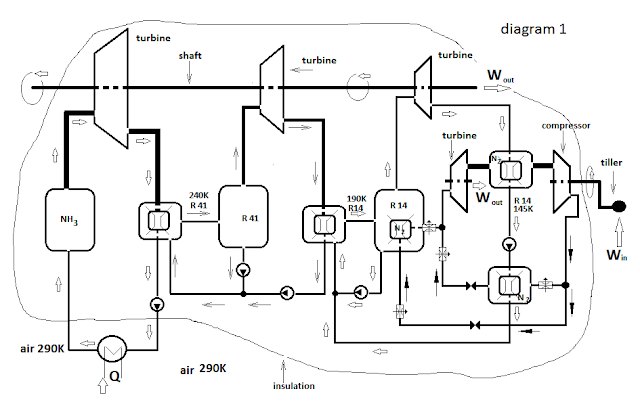 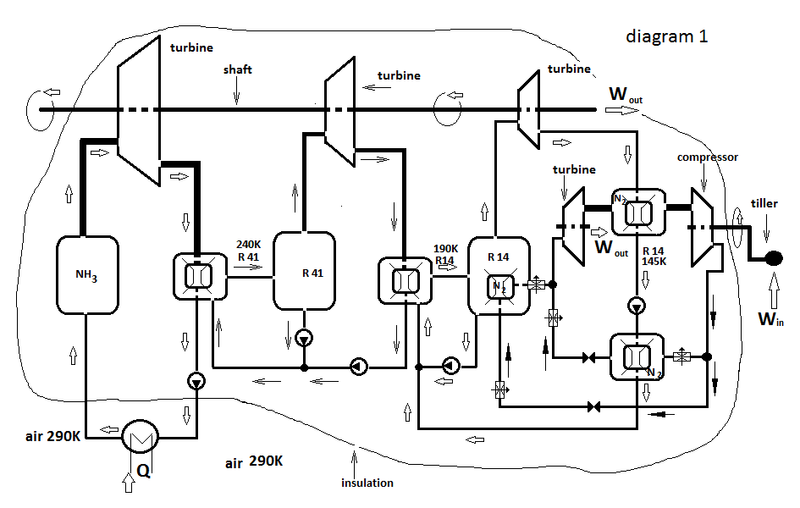 A zero cycle – the "refrigerator"
The outcome of the two cycles is a liquid working substance with a temperature 1/2 of the difference between its temperature before entering the turbine and then the heat exchanger in the hot part of the "fridge". 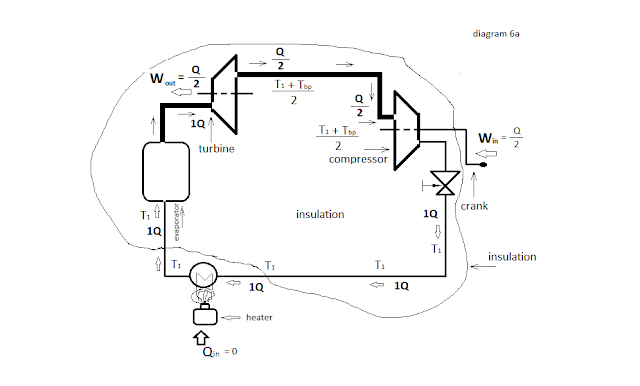 Thus, in the last cycle (n) working substance decelerated for some amount of heat as has become a mechanical energy, whereby cooled the previous(n-1) to allow the unit to operate. Note again: As with all engine variants of the external combustion - internal cooling method cold/s part create it beforehand using external force.